Do you have free tickets for tomorrow by chance? My partner and I are so keen! Will you be at Manchester? Hi Suzzane have you still got free tickets? Do you have any tickets for the NEC show this September? Hi Suzanne, Im a magazine journalist student. for my last university project im designing wedding magazine i was just wondering how do i get tickets for the Birmingham NEC wedding show as its an amazing opportunity. Hi Hayley about two weeks before i get given free tickets and i am more than happy to pop a pair of them in the post. Please e-mail sales@foto-fusion.co.uk with your address and reminder us you want a pair of FREE tickets to the NEC. Do you have any discounted tickets for the Manchester show? Hi Sharon thank you for your interest in seeing us at the national wedding show. These shows cost us such a lot of money and this year at the moment we are just doing the two shows at the NEC.Please let me know if you might like to visit us at the NEC and about two weeks before i get given free tickets and i am more than happy to pop a pair of them in the post. Please e-mail sales@foto-fusion.co.uk with your address and reminder you want FREE tickets to the NEC. 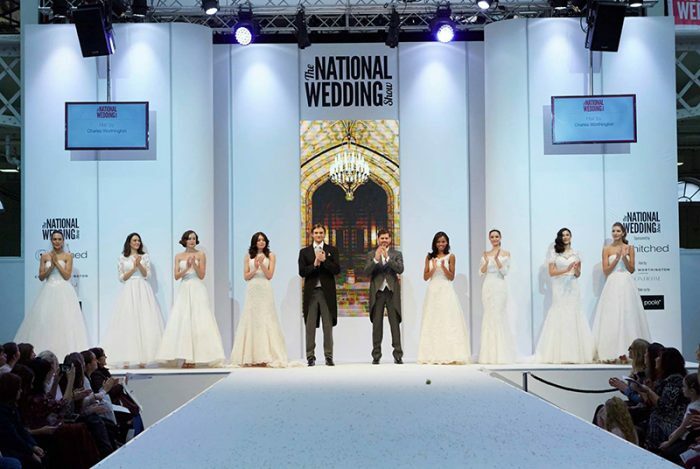 I am looking to get some discounted tickets for the National Wedding show at Birmingham. Thank you for your interest in getting free tickets to see us at THE NATIONAL WEDDING SHOW 2017. I am going to e-mail you a link to our codes that should give you access to order online using our allocation of free tickets. Please watch out for the e-mail incase it goes accidentally in your spam and please share a post please on our facebook page so more of your friends can benefit too. Do you have any spare tickets to the NEC for 30th sept – 1st October? Thank you for your interest in getting free tickets to see us at THE NEC NATIONAL WEDDING SHOW 2017. I am going to e-mail you a link to our codes that should give you access to order online using our allocation of free tickets. Please watch out for the e-mail incase it goes accidentally in your spam and please share a post please on our facebook page so more of your friends can benefit too. Hi we are looking to attend the Birmingham show on Saturday 30th September. Do you have any tickets left please? Hi Faith Thank you for your interest in getting free tickets to see us at THE NEC NATIONAL WEDDING SHOW 2017. I am going to e-mail you a link to our codes that should give you access to order online using our allocation of free tickets. Please watch out for the e-mail incase it goes accidentally in your spam and please if you can share a post please on our facebook page so more of your friends can benefit too. Do you have any free tickets for Sunday 1st october at the NEC? Hi Toni Thank you for your interest in getting free tickets to see us at the NEC NATIONAL WEDDING SHOW 2017. If you still wish to see us at Birmingham i am going to e-mail you a link to our codes that should give you access to order online using our allocation of free tickets. Please watch out for the e-mail incase it goes accidentally in your spam and please if you can share a post please on our facebook page so more of your friends can benefit too. Don’t forget you can order a free sample or free design from Nicola and i on our website https://www.foto-fusion.co.uk. Hi Sarah Thank you for your interest in getting free tickets to see us at the NEC NATIONAL WEDDING SHOW 2017. If you still wish to see us at Birmingham i am going to e-mail you a link to our codes that should give you access to order online using our allocation of free tickets. Please watch out for the e-mail incase it goes accidentally in your spam and please if you can share a post please on our facebook page so more of your friends can benefit too. Don’t forget you can order a free sample or free design from Nicola and i on our website https://www.foto-fusion.co.uk. Hi Suzanne. I’m wanting to go ton Birmingham on Saturdays 30th Sept for the wedding show. Do you still have any free tickets available . Hi Suzanne do you have any tickets for 1st October for the wedding show at NEC Birmingham? We are just setting the stand up now so I am not too sure if it’s too late but e-mailed you a code ticket for 2 free tickets I hope it still works for you. Please come and visit us on stand C13 if you can please. We are just setting the stand up now so I am not too sure if it’s too late but i have just e-mailed you a code ticket for 2 free tickets I hope it still works for you. Please come and visit us on stand C13 if you can please. Just wondered if you were still offering the tickets to see you guys at the wedding show please? I’m in desperate need of some inspiration for my wedding next year! I have recently got engaged and would like to attend the wedding show on the 30th September at NEC. Do you have any free tickets left for this date please? Do you have any tickets left for Saturday 30th September at the nec. I know it may be a little too late but hoping to go and make a day of it with my bridesmaids. We are just setting the stand up now so I am not too sure if it’s too late but i will e-mail you a code ticket for 2 free tickets I hope it still works for you. Please come and visit us on stand C13 if you can please. I am a design technology teacher and would like to take some of my students to the show. Do you have any free tickets for 1 October2017? We are just setting the stand up now so I am not too sure if it’s too late but i will e-maild you a code ticket for 2 free tickets I hope it still works for you. Please come and visit us on stand C13 if you can please. Hi do you have any tickets available for the October london 2017 wedding show at the excel? Hi! Do you still have any tickets for Saturday or Sunday? I would love to come and see you guys. Really sorry, we didn’t see your post in time! We are back from the show now but if you would like us to send you a free sample please just send us your contact details or order one on the website. Hello – will you be in Manchester at the weekend? Trying to get tickets at the moment for my MOH and I to attend. If not perhaps I can find you elsewhere? I am sorry for the delay coming back to you we didn’t do the Manchester Wedding show. They cost us such a lot of money and we are finding that the Birmingham one is central to a lot of people and has a really good array of stands and it by far the best to show at. We are doing NEC Birmingham in 2018 and i will gladly send you two free tickets if you are interested in visiting. We usually get complimentary tickets a few weeks before the shows. Please let me know if you would like the tickets sending and i will do that for you the show is 23- 25th Feb 2018. Hope you can come? Am l too late for Manchester tickets please? We are doing NEC Birmingham in 2018 and i will gladly send you two free tickets if you are interested in visiting. We usually get complimentary tickets a few weeks before the shows. Please let me know if you would like the tickets sending and i will do that for you the show is 23- 25th Feb 2018. Hope you can come? I really would like free tickets for the NEC 2018 wedding show. Two of my friends are getting married (1 in June and the other in May 2019). DO you have any spare ones please? We receive complimentary for The National Wedding show tickets for our customers a few weeks before the show. I can keep a note of your e-mail and send you a link for two free tickets once they send them out if thats ok? If in the meantime you might like to receive a free sample or you might like Nicola or i create a free design for you simply go to our website https://www.foto-fusion.co.uk. Thanks much. Yes please save my email address. Hi would it be possible to get tickets for the wedding show at the NEC In February please?? Hi Nikki thank you for your interest in seeing us at the NEC this year. I can add you to my list once i get the free tickets and i can e-mail you a link or send you a pair of tickets. We normally get them a couple of weeks before the show is due to start. Hi Shannon i haven’t received them just yet but we usually get them for our customers a few weeks before. I have added you to my list so i will forward the link or e-mail you if they come in the post.If in the meantime you might like to recieve a free sample please fill in a sample request on our website or e-mail me your address and i can post one out to you. Would it be possible if you could send me two complimentary tickets please? I would really appreciate it. Hi Sarah i will add you to my list and once i get them i will post you out the link for a pair of free tickets. Hello also interested if any spare tickets going thanks. Hi Samantha i will add you to my list and once i get them i will post you out the link for a pair of free tickets. Hi Jen i will add you to my list and once i get them i will post you out the link for a pair of free tickets. Hi Dawn i will add you to my list and once i get them i will post you out the link for a pair of free tickets. Do you have any free tickets for the Birmingham National Wedding Show on Saturday 24th or Sunday 25th February? I am getting married in August and very keen to attend the show? Not yet i will chase our organisers see when we are due to get them and add you to our list once they arrive. In the mean time have you seen our stunning cards especially the thank you cards if your getting married very soon or the order od service? They are so personal with the way we print the photos and something your guests and family will really treasure. Let me know if you might like a sample sending? I will just need you to e-mail me your address to sales@foto-fusion.co.uk or ordrer a free sample on our website? Hi Hayley i will add you to my list and send you a link to free tickets very soon. Do you have all your invites sorted out as its getting very close? I would be interested in attending the wedding show. If you have any complimentary tickets, please kindly let me know. We are getting married in October this year and realised there are lots of things to plan! Hi Stephanie i will send you a link to get your free tickets. Please watch out for our e-mail. Hi Georgia i will send you a link to get your free tickets. Please watch out for our e-mail. Could I get a pair of tickets to the London Olympia Wedding Show in February please? Getting married in July. Hi Catherine i am really sorry this year we are just doing the NEC in Birmingham Spring and Autumn. We just find it a much better exhibition and easier for most people to get too. Last year the tube was closed on the weekend of the show and it was a real problem getting into london. If you wouls still like to be our guest at the NEC please let me know and i will gladly send you a link so you can book a free pair of tickets. Hi Katie i will send you a link to get your free tickets. Please watch out for our e-mail. I was just wondering if you had and tickets left for the nec wedding show this Feb. We have 4 weddings in my family this year alone and would love to come along! Hi Bethan i will send you a link to get your free tickets. Please watch out for our e-mail. I would love to attend the Manchester show if you have any tickets? Will you have a stand there too? Hi Natalie we are not sorry at Manchester however we are at the NEC and can send tickets for that if you wish worth £40? We are at a local show at The Ribble Valley Wedding Show at Stonyhurst College if you wish to see us locally on Sunday 3rd June 2018 which is free to enter. Do you have complimentary tickets to the show in a london on the 18th Feb? Hi Kariesha i will send you a link to get your free tickets. Please watch out for our e-mail. Hi Hun. Have you received the free tickets yet for the NEC show. I’m maid of honour for my friend and I think she would really enjoy going to the show and it will give me some inspiration as I’m left to pick the dresses for myself and the bridesmaids. Hi Hayley i will send you a link to get your free tickets. Please watch out for our e-mail. Hi Becki i will send you a link to get your free tickets. Please watch out for our e-mail. I was wondering if you might have any free tickets to the NEC Show later this month (Feb 2018) as I have 2 daughters that want to get married this year and next year. Hi Gaynor i will send you a link to get your free tickets. Please watch out for our e-mail. Hi Heather i will send you a link to get your free tickets. Please watch out for our e-mail. Hi, do you have any tickets left please? Thanks. Hi Lucy i can sent you tickets so you go in to the NEC as our guest? It allows 2 people entry and you can come and visit us on stand d136 opposite the champagne bar! That would be perfect, thank you so much! Would it be possible to visit on the Sunday at all please? Hi , do you possible have any guest tickets spare for myself and partner to go to the NEC ? We’re getting married next year and I’d love I’ve too to supprise her with going to one of the best shows near us ! Hi Paul i can send you a link to our guest tickets. I have send a few out already but hopefully it should still get you in? If you have the time please come and say hello to us we are stand D136 opposite the champagne bar!! Hi Laura i will e-mail you a link to our free guest tickets. I have already sent quite a few out but hopefully it should still allow you access free of charge? Please let me know if its still a live discount hopefully we haven’t used up all our tickets yet? Look forward to seeing you at the show please come and say hello we are on opposite the champagne bar!! Fantastic have fun at the show! I was wondering if you have any spare free tickets for the london show this weekend for me who is maid of honour and the bride who’s getting married this year. Would love to visit and would be massively grateful. Hi Becky I am so sorry we are not exhibiting in London this time. we only have guest tickets for the NEC show we are doing instead. Hi, I would be interested in coming to see your stand at Birmingham NEC on the 24th February. Do you have any tickets remaining? Hi Leah i can send you a copy but i have sent a few out already. But its well worth giving it a try we get 10 free tickets so that allows 20 guests in total so two people per pair of tickets. Do you have any free tickets for the NEC show left? I am chief bridesmaid and I’d love to surprise my friend, the bride, by taking her to the show. Hi Hayley sorry for the delay coming back to you i hope you managed to get to the show? We are next at the NEC in Autumn if you might like me to add you to the list for free tickets you will be top of my list and sure to get our complimentary free guest tickets? I wanted to know whether you have any spare tickets for the NEC? Me and my partner would love to go. I would like to come see you, do you have any remaining tickets for Birmingham NEC on the 24th February? Sorry Nicky for the delay getting back to you, we do get really busy on the lead up to the show so i have not had chance to reply sorry. I can send you out free tickets to the Autumn NEC or you may wish to try Manchester this coming weekend? Weather permitting i can forward you a link? Hi do you have any free tickets or codes for the Manchester wedding show on the 10th March ? Hi Tamara we are not at the show this weekend but i know we do have some work on display at their inspirational display for stationery. Please travel safely the weather in surrounding areas is not good. Do you by any chance have any free tickets/discount codes for the Manchester show on 11th? Hi Michelle we are not at the Manchester show this Spring we are going to The Ribble Valley Wedding Show on the 3rd of June which is set to be a great event if you might like to come and talk to us about your designs for your wedding? Do you have any free tickets for Birmingham / September 2018? I will get free pairs of tickets for the London show at olympia in September if you like as we are doing London this autumn and keeping Spring for Nec. So i can either add you to the list for free London tickets or wait for the next Birmingham show spring 2019? Hi Do you have any free tickets for the wedding show London, 14-15 April 2018? At excel? Yes we are doing the NEC in Autumn 29th September to 1st October 2018 if that’s any use to you? Hi . I just got engaged and looking at a August 2019 wedding. Desperately need some ideas, and structure. do you have a free tickets for Birmingham please? Hi Donna we can send you tickets for autumn at the NEC NATIONAL WEDDING SHOW if that’s any use? Good afternoon I was wondering whether I could get free tickets for the show in September for my partner and I. Do you have any free tickets for the NEC on sunday 30th? I was wondering if your going to be at the wedding show in Birmingham in September? We did see you last time but I wanted to bring my mom this time I was wondering if you had any free tickets for the show? Ps we love your invites using a photo of your younger self with the caption guess whose getting married. We’re contemplating on having these. Hi Sarah I am so sorry for the late response we have been redesigning our website and have only just seen your message sorry. We didnt do the September show as we wanted to redesign our website instead. So we have been working hard on that and hope to launch it next week. If you have any questions I would be really happy to help we can always do a skype chat from the studio if you want to discuss your designs in detail. Or please come and visit us if your able? Hi Elly I am so sorry for the late response we have been redesigning our website and have only just seen your message sorry. We did not show this September show as we wanted to redesign our website instead. So we have been working hard on that and hope to launch it next week. If you have any questions I would be really happy to help we can always do a skype chat from the studio if you want to discuss your designs in detail. Or please come and visit us if your able? Are there any free tickets for the london October wedding show please? I am getting married in August 2019 and need some ideas! Thanks so much! Hi Paula I am so sorry for the late response we have been redesigning our website and have only just seen your message sorry. We are not at Olympia this year but might be next sprin. If you want to see some free samples please e-mail me your address on sales@foto-fusion and i can pop some in the post to you. I’m a bridesmaids and my best friend is getting married in July of 2019. We were wondering if you had free tickets available for the NEC show please? Would really love to come to the NEC this month with my family and bridesmaids do you have any tickets left? Do you have a pair of free tickets for the excel October show. Are you showing at London Olympia in a few weeks time? Hi would love to meet for some ideas, our wedding is in Dec this year. 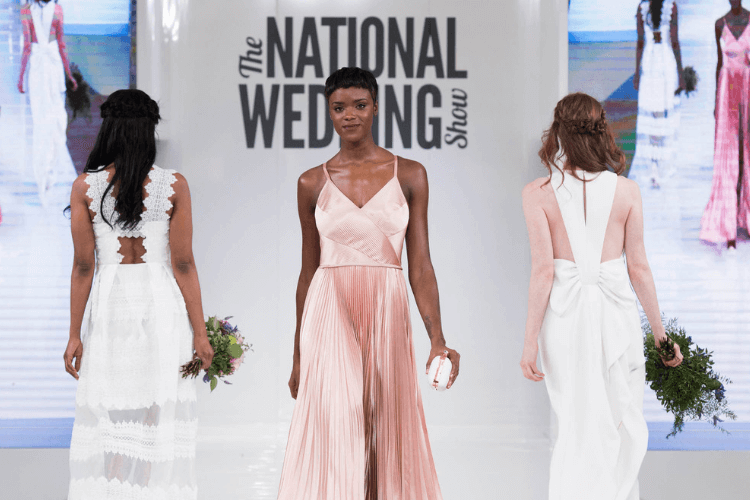 Will you have free tickets to the National Wedding Show in London at Olympia next weekend (22-23 sept)? Hi I am completely new to all of this and in am trying to find a few starting points and your site flagged up- so I’m going from here,ha. I have just seen all.tbe mentions of a wedding show at the NEC how do i get tickets and will you have examples of your products available there? Hiya, I just got engaged and looking to get married in 2019.Do you happen to have any tickets for the Wedding Show at the NEC? Thank you! I have just got engaged and would love to come down to the national wedding show to see you guys, do you have any free tickets available for the excel show in London in October please ? 13th or 14th ? Sorry for my late reply we did the NEC instead and We have been so very busy since.I have only just seen your message sorry. We would have loved to do Manchester but we would not have been able to keep up our high service standard on orders if we had. I am very happy to send you some free samples of wedding invitations and if you wish a free design for you? Just e-mail me your address to sales@foto-fusion.co.uk and i can pop some in the post free of charge. Hi Suzanne, Have you got any free tickets to this weekends wedding show at London excel?